at Kungliga Musikhögskolan in Stockholm (Royal College of Music), from September 2012.
at Kungliga Musikhögskolan in Stockholm (Royal College of Music), 2008—2012. 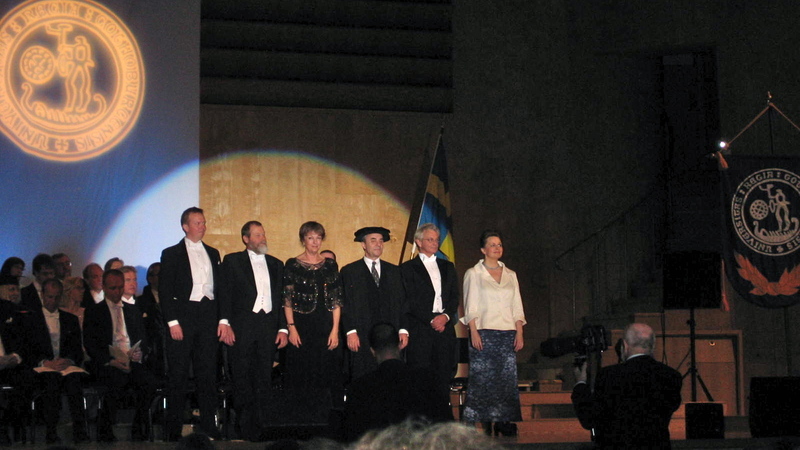 Ceremonial installation of B Tommy Andersson (leftmost) as Professor of Orchestral Studies at University of Gothenburg, 24 April 2004. The ceremony took place in Gothenburg Concert Hall.